What is it about a Gallic villager with a drooping moustache that is so endearing that everyone across the world loves him? I think it’s just that the only thing he fears is the sky falling down. 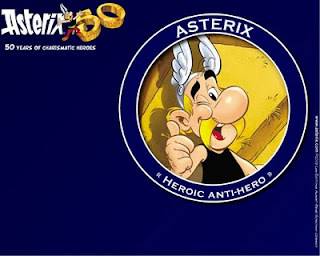 Asterix celebrated his 50th birthday on October 29. It’s unfortunate that he’s not a big phenomenon in North America. He occupies a very large place in my life. He’s a friend I’ve known for many years who makes me smile every time I meet him. I can’t say that of many people I know. Like most Indian kids who grew up in the 1970s in Bombay (it was called Mumbai only at home), I had a limited choice of comics. It was because we didn’t have money and comics were frowned upon. One of my most enduring friendships – with Naresh Pandya – started because of our fascination for comic books. They were called comics. Not graphic novels. And, the choice we had was a mixture of Indian and foreign. Phantom and Mandrake were ubiquitous and predictable. 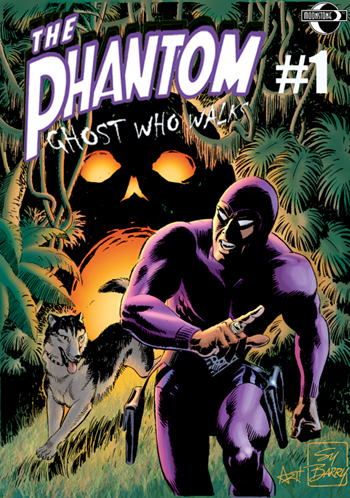 Phantom was racist (White man in African jungle, fighting bad men to save innocent savages). 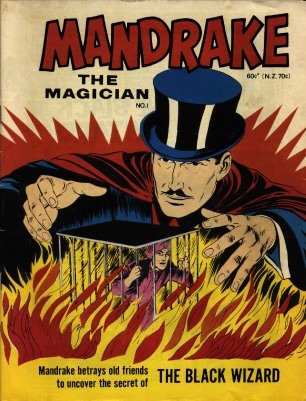 Mandrake was insufferable. Indrajal Comics, which published them, was a part of the Bennett Coleman group. We could get hold of DC & Marvel comic only when these reached the recycle newspaper shops (for some reason these were called Old Paper Marts, as in Vijay Old Paper Mart). Justice League heroes were a personal favourite, and among them Batman is a hero even after all these years. He’s a superhero without superpowers. Spiderman was only popular because he was on TV. Superman was a chocolate hero with an Elvis Presley bouffant. Then there was the girls and kids category that included Archie (girls), Walt Disney and Looney Tunes (kids). Archie’s was an alien world. One could – and did – identify with his situations. Although even now I find it amazing that anyone could have so much pop. Walt Disney and Looney Tunes comics were there, too, but one couldn’t be caught reading the “children’s” stuff. Commando comics again were for the true connoisseur, or the comparatively well off kids. The pen and ink drawings were to die for. I bought an omnibus Commando in Mumbai (by now it’s called Bombay only to deride the locals) just prior to immigrating. It’ll reach Canada in some years from now; hopefully. Among the Indian ones, there was the almighty Amar Chitra Katha. It’s charms unrecognised and unacknowledged. Over the last four decades, it’s become the landing page, the default destination, for Indian culture, mythology, history and society. I read the multi-volume Mahabharata to Che a couple of years ago; he loved every moment of it. There was Chandamama. Even then, I found it plain rubbish. It was infra-dig to read Bahadur. Attempts to introduce Indian characters in the comic book format or to Indianise the content occurred only after I had graduated to better comics. In recent years, Shekhar Kapur and Deepak Chopra along with Richard Branson tried to give Indian mythological stories (Ramayana) a graphic novel format, but nothing much has been heard about the effort for the last few years. That brings me to Asterix. I discovered Asterix quite by accident. Again, Meghnad was instrumental. Not quite happy with my obsession with comic books, he suggested that I should read Asterix. It came recommended by one of his colleague, an artist. I read one book he had got home. I think it was Asterik and Cleopatra. 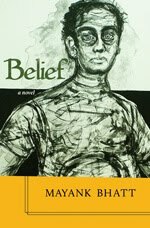 It was different from anything that I had read and was reading. I discovered that Sunday magazine also serialised Astrix. I’ll save the Sunday story for some other time. Over the years, Asterix became the epitome of creativity in the comic book format. It’s only recently, after I began reading graphic novels in Toronto (thanks to Toronto Public Library) that I finally found something that was as good – and occasionally better – than Asterix. Even after all these years, Astrix remains an endearing part of my life that has shaped my thinking in so many different ways. For instance, I’ve never really thought of Julius Cesar as that epochal figure that he is in western history. To me he’s that silly man punching a fist on his palm, whizzing around in a circle in a tent outside that Gallic village, devising ways to defeat the indomitable Gauls. I have often wondered how the books would read in the original French in which they were created, given that they read so well in English translation (Much like how would Crime and Punishment read in Russian). Also, I divide people into two categories: Those who like Asterix and those who like Tintin. If you don’t belong to either of these categories, you’re either too young or too different.